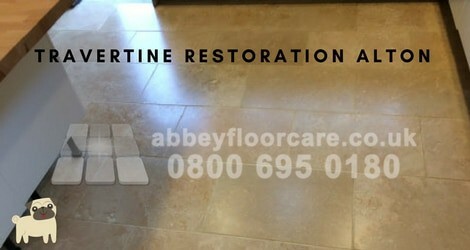 Our client called for our travertine restoration services because she could not keep her Travertine floor clean. There were three particular problems with ingrained soil, black holes and soiled grout. The floor was around 10 years old. 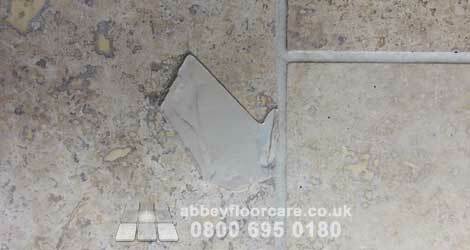 While our client had done her best to look after the floor, she could not prevent abrasion wearing the surface. 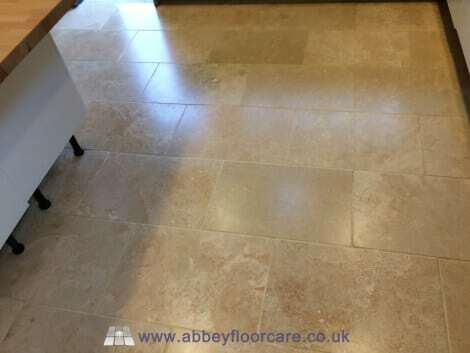 When Travertine is worn, the surface becomes porous and it is difficult to remove cleaning slurry from the surface. Travertine has a honeycomb structure, like cinder toffee. The honeycomb structure means that in some places the surface of the tile can be as thin as an eggshell. As the surface of the Travertine starts to wear, the thin areas become thinner, eventually collapsing to reveal the underlying hole. The holes can vary from small pores to large craters. It is impossible to stop the holes filling with soil. Eventually, there are dirty holes all over the floor. 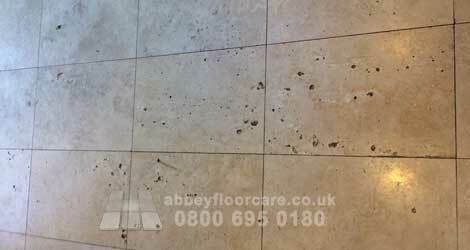 As you can see in this photograph, there were some large holes in the floor on this travertine cleaning Alton project. Mopping with a cotton mop adds to the problem because the mop moves dirty slurry into the grout. 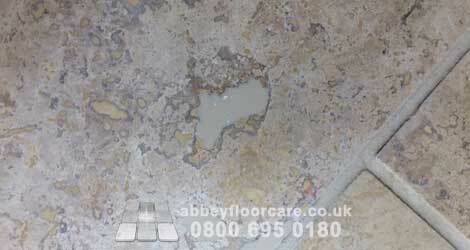 This dirty sludge starts to damage the grout, making it porous so the dirty slurry soaks deep into the grout. 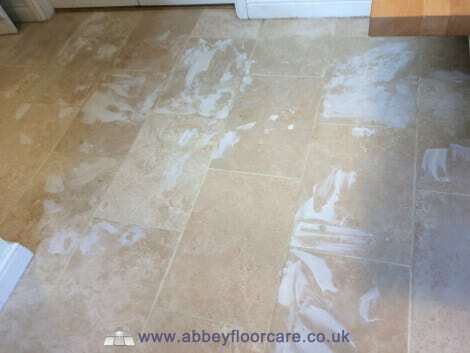 This is exactly what has happened with this travertine cleaning Alton project. The grout lines on this floor were quite wide, so the dirty grout lines made the whole floor look dull. We started by cleaning the larger holes with diamond burrs. As we worked, we also cleaned out any damaged filler. Then filling the large holes with hard travertine filler. Small holes are too small and too numerous to fill with a hard filler. So we used a fine coloured jasmine grout. Before grouting the small holes we scrubbed the floor with a strong cleaner to help emulsify the ingrained soil. Then we used our high-pressure hot rinse equipment to lift the emulsified soil away from the floor. 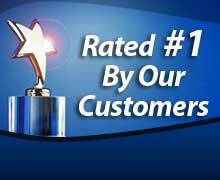 Our cleaning also removed any loose filler that was likely to fall away in the coming months. We filled the remaining holes with a fine jasmine coloured grout. Once the grout had dried, we removed any grout haze off the tiles ready for sealing. We sealed the floor with a water based acrylic mid-sheen sealer. 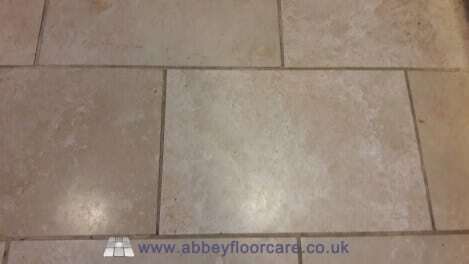 We recommended this sealer on our travertine cleaning Alton project because the travertine sealer will help to protect the surface of the tiles from damage. The sealer sits on top of the stone, acting as the wear layer, protecting remaining areas of thin tile against premature collapse. The sealer also makes the grout lines and grout filler much easier to clean. We recommend to sweep the floor once or twice a day, using a dry microfiber mop. Then damp mopping the floor daily with a specialist cleaner that contains a small amount of sealer, helping maintain the finish. 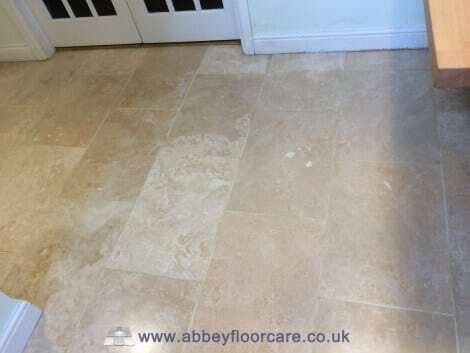 If you need your travertine looking clean and beautiful again, please contact me for a free no-obligation quotation for travertine restoration.